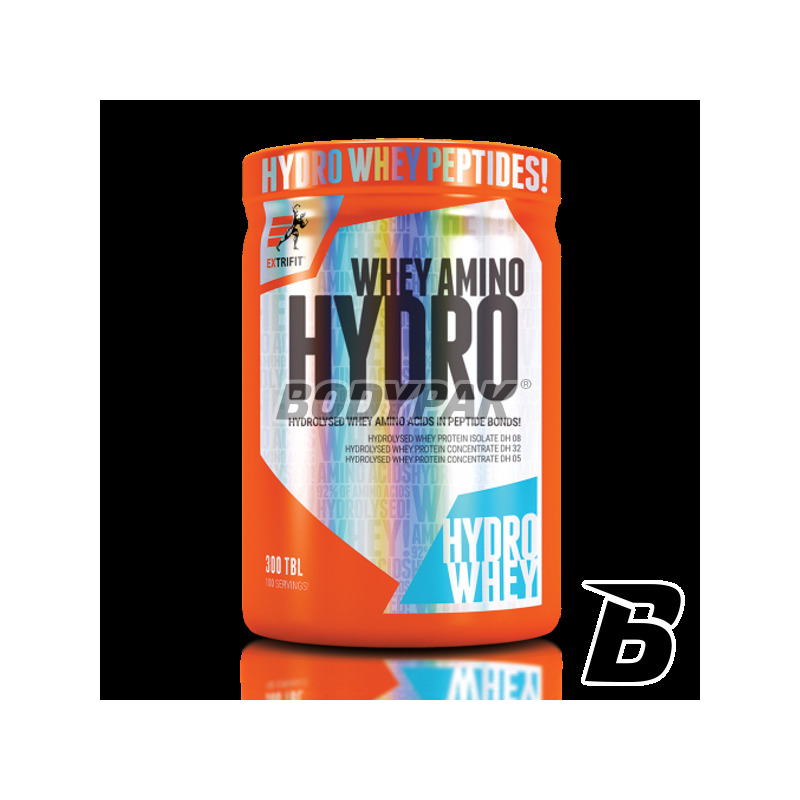 Amino AcidsExtrifit Amino Hydro - 300 tabl. Only amino acids ensure a fast growth of muscle tissue. High quality coupled with reasonable price. The product is in the form of easy to swallow tablets by suitable technology. Amino HYDRO is one of the best products of the amino acid in the world. The manufacturer made sure that the tablet formulation were easy to swallow what he achieved through appropriate production technology - is not reflected in any way on the amount of amino acids in a tablet. Competing products are characterized by huge tablets, whose ingestion may przyspożyć big problems. 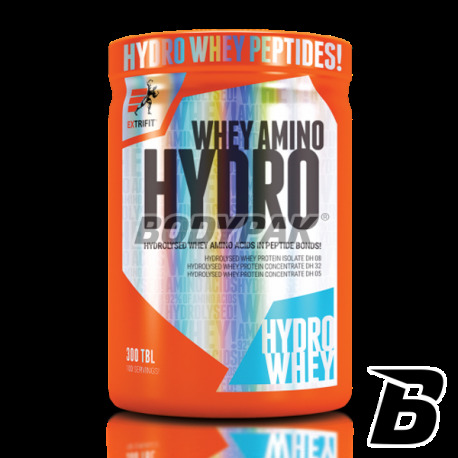 Amino acids contained in Amino HYDRO are in the form of "free" and therefore easily and quickly available form (this is another advantage over competitors, whose products are usually compressed nutrient protein). Supplementation with amino acids supports the process of the growth of lean muscle mass. Reaching this product, you are guaranteed high quality and efficacy. - Typical amino acid profile per serving daily (Table 12). Ingredients: Hydrolyzed whey protein isolate 75% hydrolyzed Whey protein concentrate 6.1, hydrolysed Whey protein concentrate 6.1% L - lysine HCl, anti-caking agent (tricalcium phosphate, magnesium stearate). aminokwasy rewelacja, jakościowo naprawdę czuje różnicę, przyrost masy i dynamiki , lepszy sen ,samopoczucie polecam i pozdrawiam N.
Cena mogłaby być lepsza, ale hydrolizat więc nie jest źle. Ciekawe aminki... hydrolizowane, dzięki czemu szybko przedostają się do krwiobiegu i mięśni.